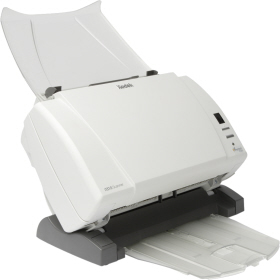 The Kodak i1310 document management scanner delivers the highest level of capability and affordability of any product in their category. This is true breakout performance, with ease of use, versatility and image quality that sets a new benchmark. Smart Touch feature allows you to scan documents to file, e-mail, printers or other desktop applications, with the touch of a button. Documents can be sent as PDF, TIFF, JPEG, RTF or Searchable PDF.